A handcrafted, bi-carb and beeswax free deodorant paste. 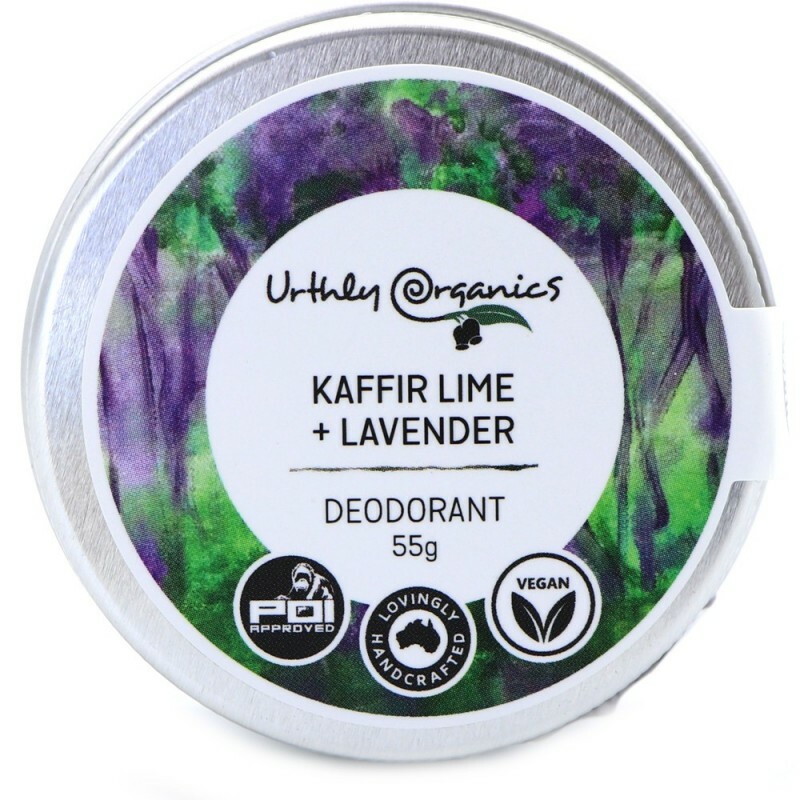 Vegan friendly and certified palm oil free, this paste is scented with kaffir lime and lavender and will keep your underarms fresh and soft. Made in small batches, with love. Packaged in a reusable and recyclable aluminium tin. 55g. Reusable and recyclable aluminium packaging. 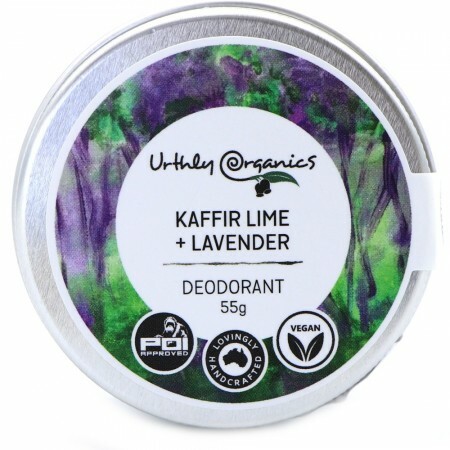 Fresh scent of kaffir lime and lavender. Bi-carb free, so its great for those with sensitivity. Nourishing hemp and mango plant fats. Urthly Organics uses certified organic hemp seed oil grown in northern NSW. Use as a block in cooler climates and as a paste in warmer climates. *Arrowroot powder, *cacao butter, candelilla wax,*mango butter, *hempseed oil, essential oil (lavender, kaffir lime), vitamin E. *Organic ingredient. Packed in a recyclable aluminium container.